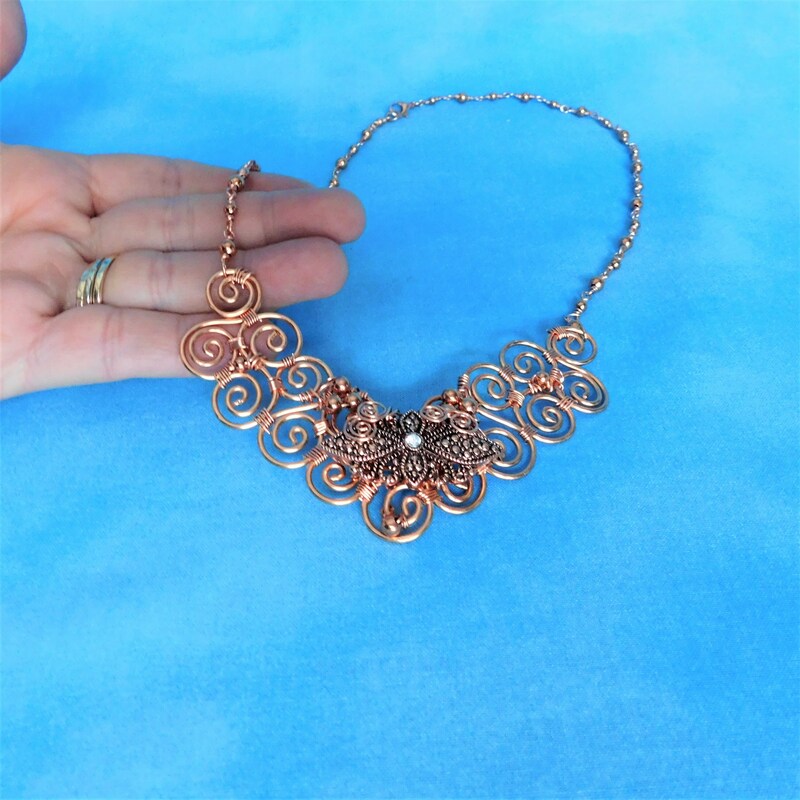 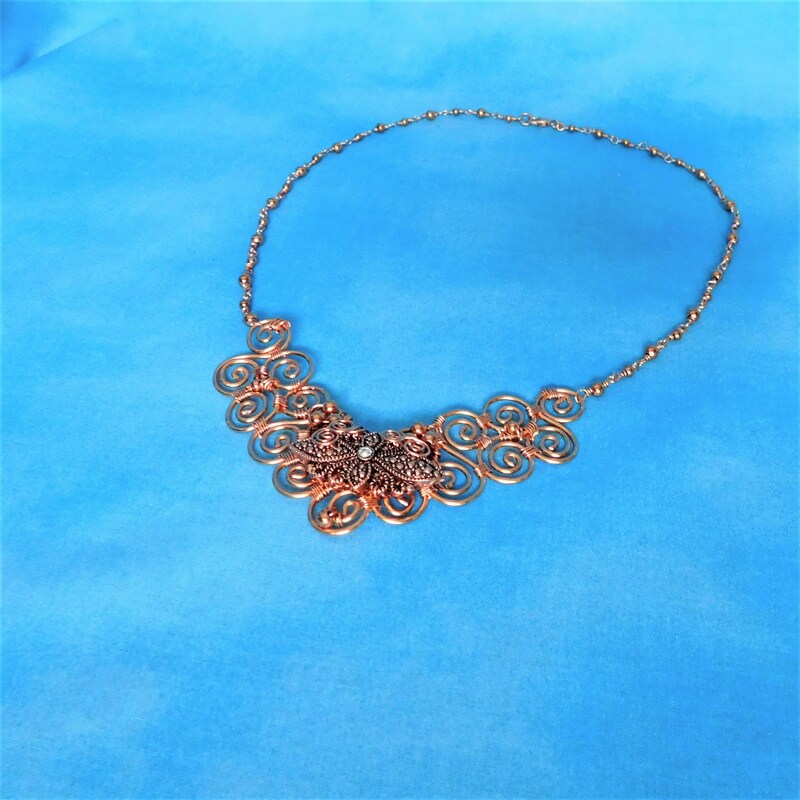 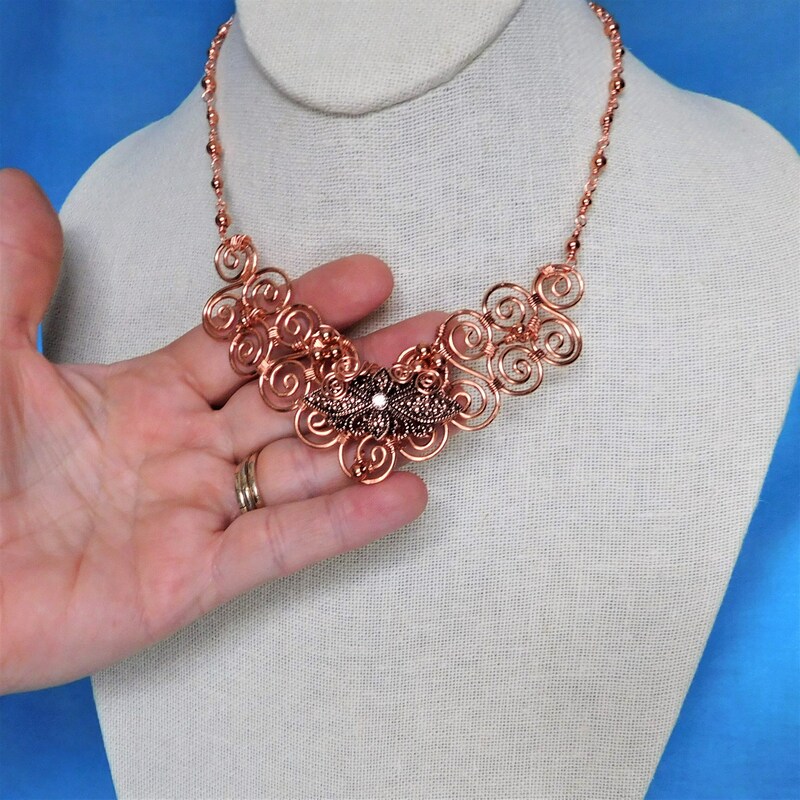 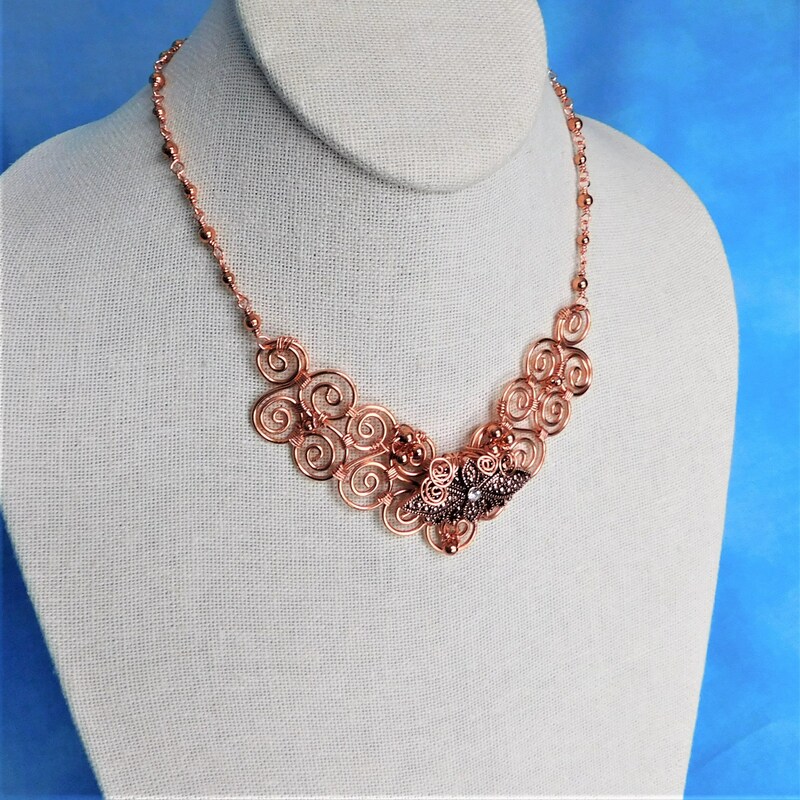 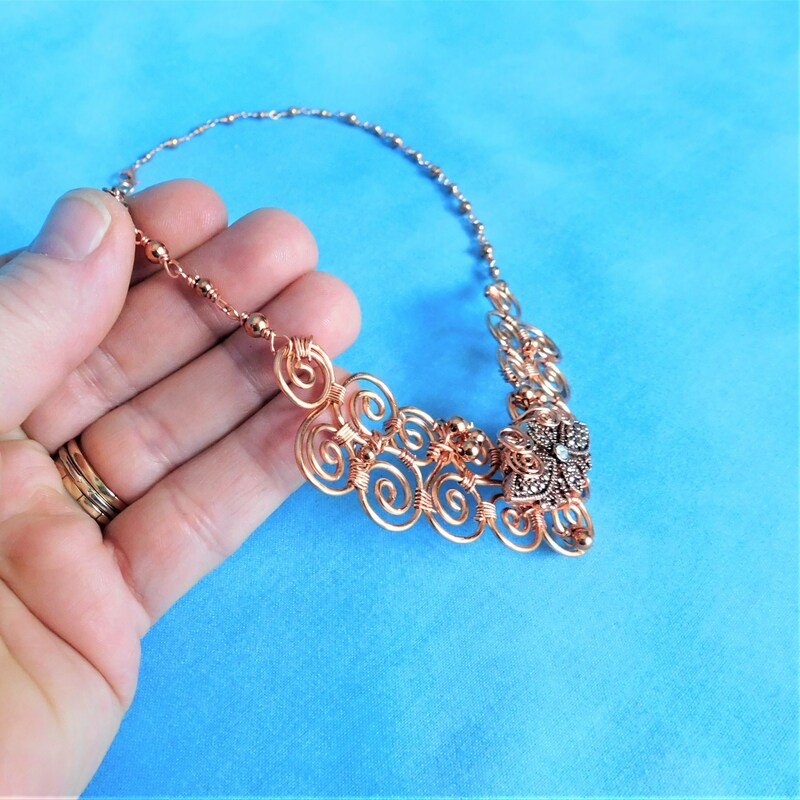 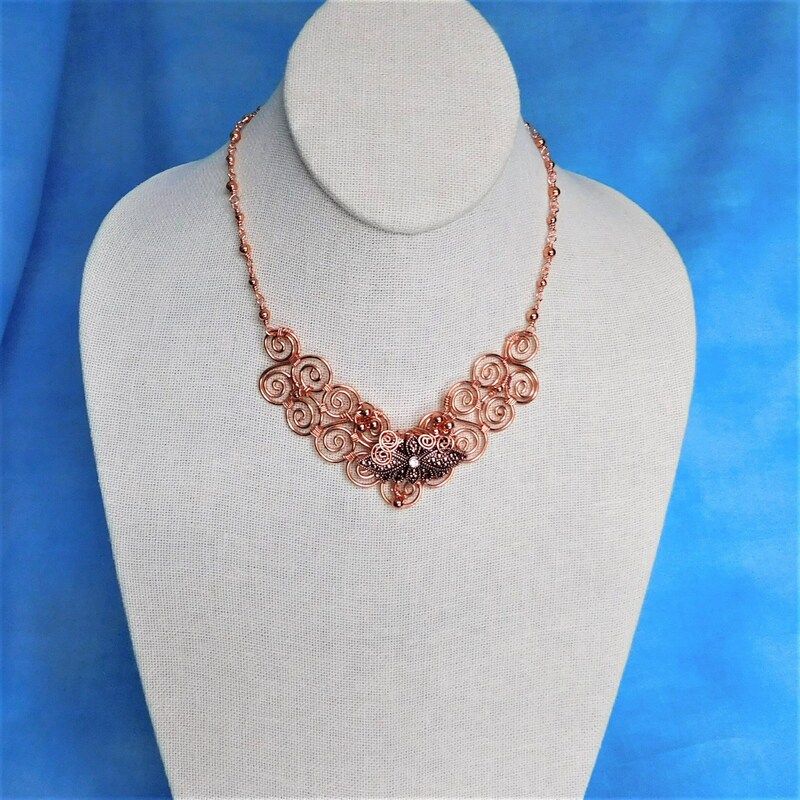 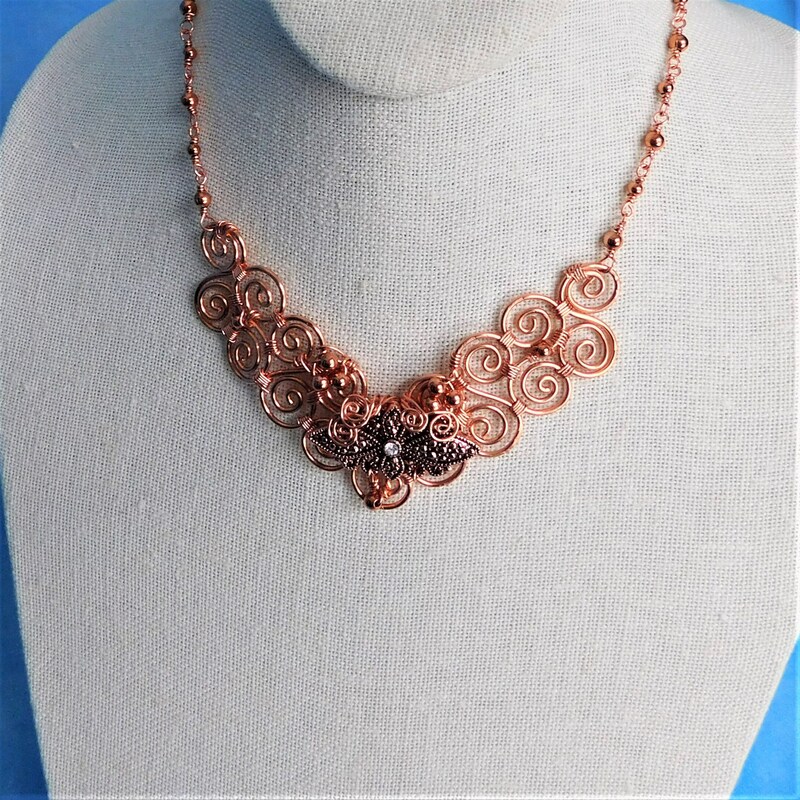 Non tarnish natural copper wire is hand sculpted, hammered and wrapped to create a scroll work bib style necklace, embellished with a coordinating focal accent, with a rhinestone center. 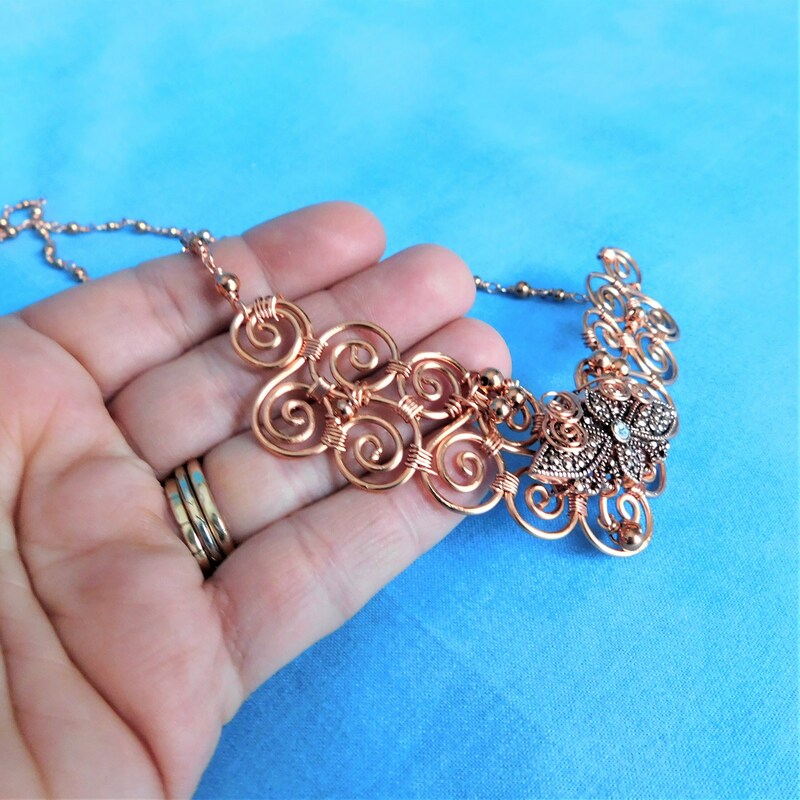 The scroll work is done by hand, wiring individual scrolled sections together, creating a lacy, lightweight bib. 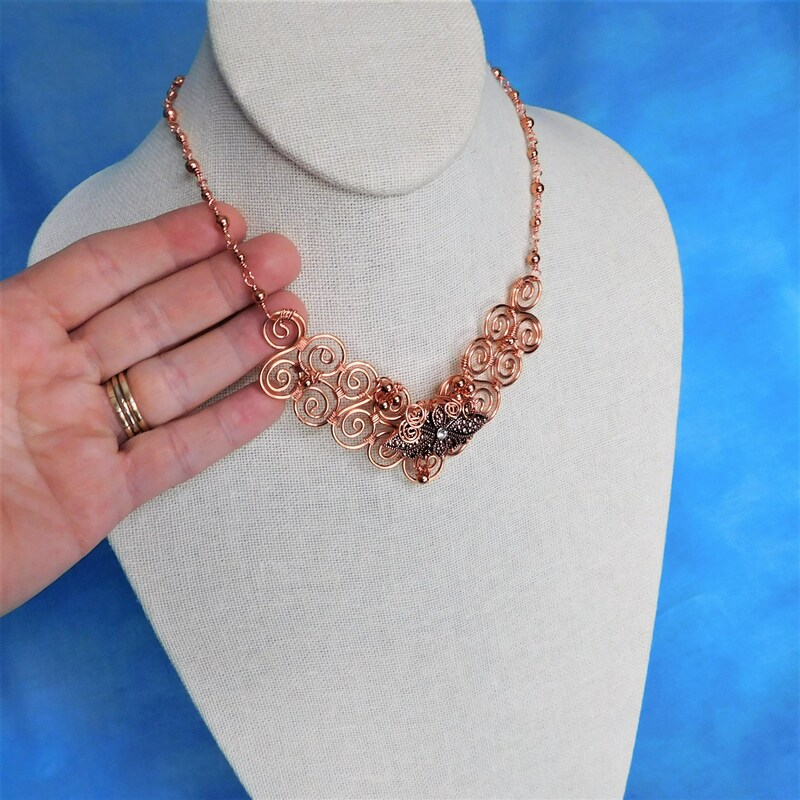 The necklace is finished with individually hand wrapped beaded links and lobster claw clasp. 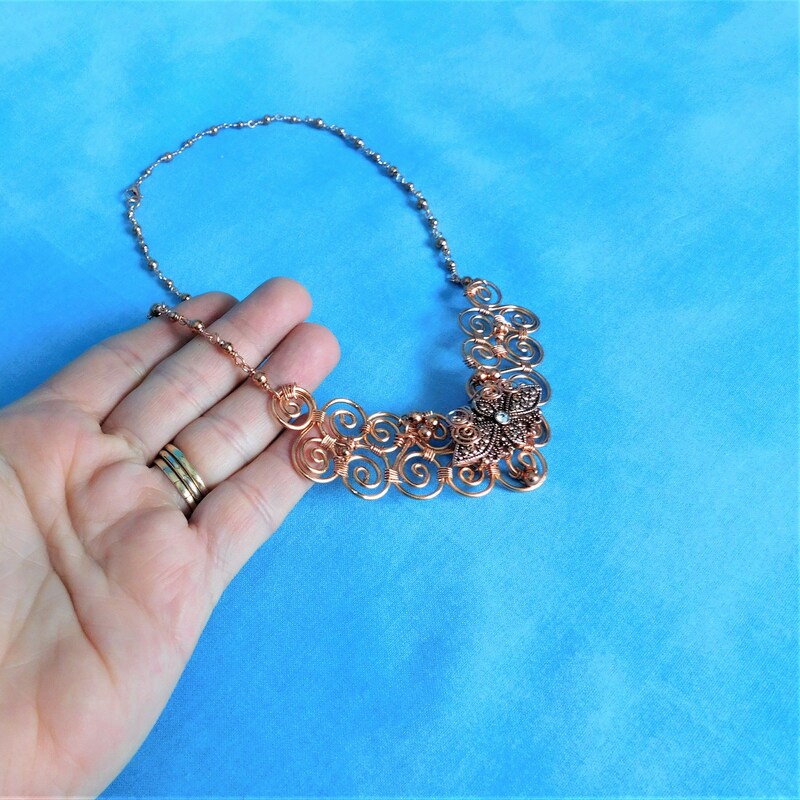 The necklace measures 20 inches in length, and the bib measures 1 1/2 inches in the center.